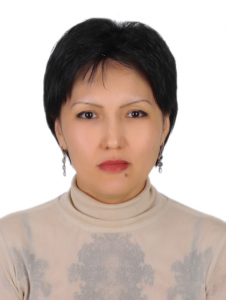 Tleumbetova Dana Bekovna graduated from Karaganda State University named after EABuketov in 1991. 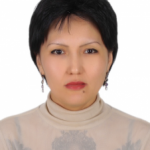 From 1992 to 2015 worked as a teacher, senior teacher of the Russian language department at Karaganda State Medical University. Since 2015 she has been teaching at KSTU. The general pedagogical work experience in the system of higher education is 23 years. Scientific interests: new educational technologies of language teaching, terminology, lexicology .. He is the author of 14 scientific articles in international and republican journals, including 2 textbooks on the Russian language. Has copyright certificates of state registration of intellectual property. She participated in the development of work programs, syllabus and teaching materials of disciplines. She made presentations at the methodical seminars of the department. She was awarded diplomas and letters of thanks for her hard work in the training and education of highly qualified personnel. He has certificates and certificates of participation in scientific conferences and seminars on intensive-interactive language learning technologies.